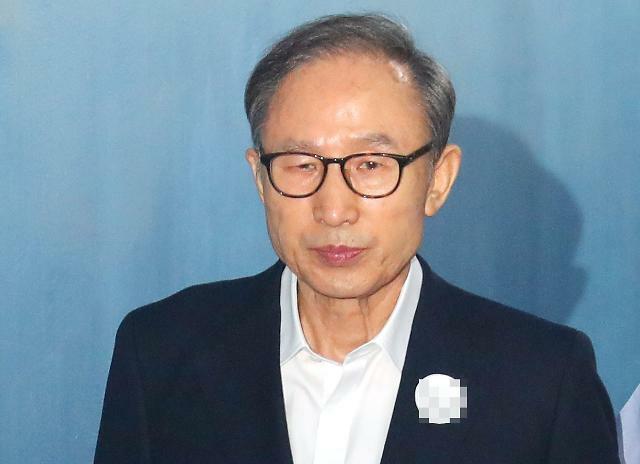 SEOUL -- South Korea's conservative ex-president Lee Myung-bak was indicted Monday on corruption, abuse of power, embezzlement and other charges, four days after his successor received a 24-year jail sentence for her role in a massive corruption scandal. 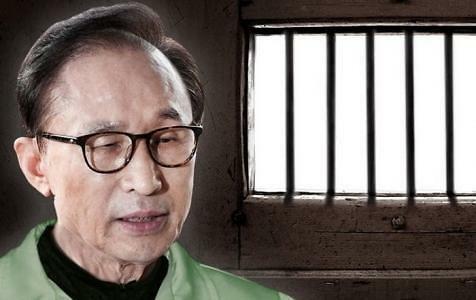 Prosecutors said they would seek a court order to freeze legal and hidden assets held by Lee, relatives and associates for confiscation as the ex-president was accused of taking bribes totaling about 11.1 billion won (10.4 million US dollars). He became the country's fourth national leader to stand trial. Lee's jailed successor, Park Geun-hye, was sentenced to 24 years in prison last Friday. Lee, a former Seoul mayor who served as president from 2008 to early 2013, faces other charges including tax evasion, breach of trust and abuse of power. He was accused of shipping thousands of documents out of the presidential office. 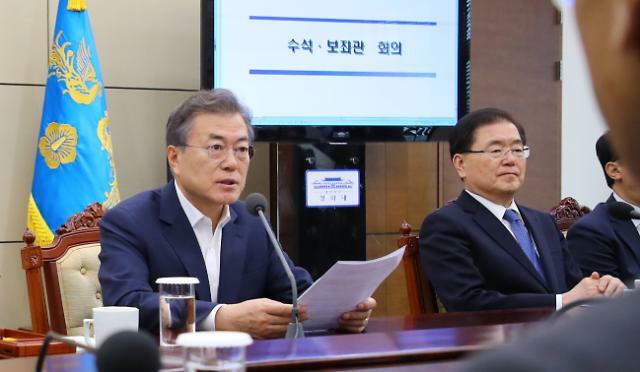 Lee, 76, has denied any wrongdoing, describing a probe by prosecutors as political retaliation for the death of his predecessor, Roh Moo-hyun, who threw himself off a mountain cliff in 2009 following a humiliating probe into alleged corruption involving his family. At the center of debate has been DAS, an auto parts supplier for Hyundai Motor. Lee argued the company is owned by his brother, but prosecutors concluded Monday the ex-president is its real owner and used the company to create a slush fund. 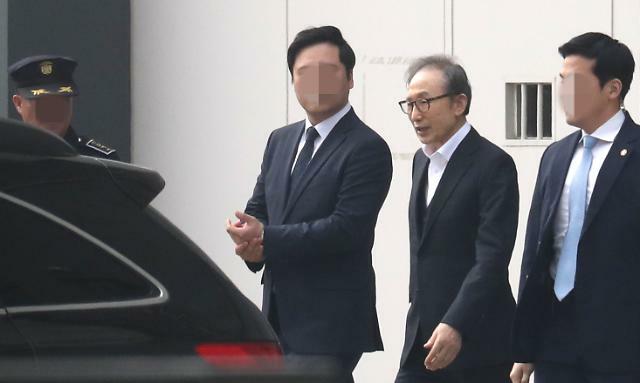 Lee was charged with embezzling about 34.9 billion won from DAS for his political campaign and personal life and taking bribes from businessmen in return for favors. He was accused of receiving an illegal payment of some 700 million won from South Korea's spy agency. Samsung Electronics allegedly provided $5.85 million to support a lawsuit in the United States on behalf of DAS. In a statement posted by his aide on Facebook, Lee argued that he had never accepted any illegal bribes or political donations during his five-year tenure. 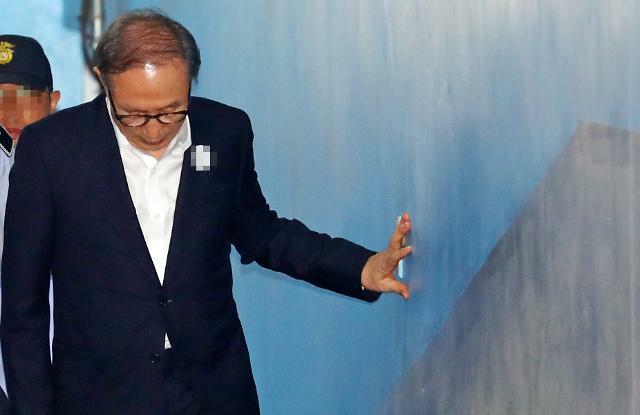 Charges have been concocted for a political attack on him even if he has not been involved in the management of DAS, Lee said, accusing prosecutors of working for the government of President Moon Jae-in under a premeditated plot to punish him and followers with groundless allegations. "I do not have a single DAS stock. It is true, however, that I've given an advice from its establishment to operation because it is a family business," Lee said.